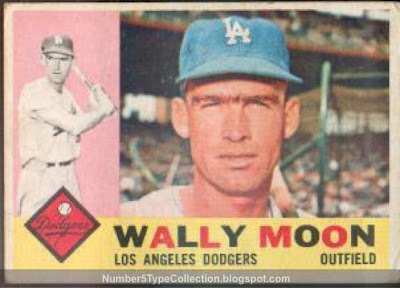 We covered the American version of this classic Topps issue one year ago today, but Wally Moon's monobrow deserves a second look. Did the extra hair super-protect from sweat and sun, improving his batting performance? I can't discount the possibility. Like 1959 Venezuelans, 1960 cards lack Topps' normal surface gloss and the stock feels "cheap" to the touch. Very few cards made it to North American, so eBay or online auctions remain your best "open market" chance. I picked up Mr. Moon for $5 from South American specialist John Rumierz Cards. UPDATE: I revisited this card in 2011 as part of a series covering all Venezuelan issues. Find it at 1960 Venezuelan Baseball #5.